This week on 7 Minute Sunday we're chatting about the art of the reverse mentor! Find out what it is if you don't know and how to navigate the space. 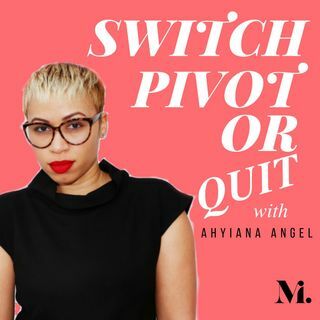 Ahyiana Angel is traditionally published author and host of the Switch, ... See More Pivot or Quit podcast, who is affectionately known as the Chief Encourager. She is a seasoned executor who eventually blocked out the world’s ideas of success, quit her highly coveted position at the NBA, moved to London and traveled the world for a stint, then followed her passion in writing to find her purpose in encouragement.